Our Hike & Relax tours are ideal for all nature and activity lovers who are keen hikers or walkers but prefer really small groups with a personal touch to hiking with bigger parties. During the day enjoy easy and medium hikes under the guidance of our knowledgeable and friendly guides through stunning nature and relax during the night in cozy rooms with private facilities at the charming 4 Star country Hotel Húsafell. The easy daily hikes of 5 -13 km take you to the most beautiful spots in West Iceland and to genuine off-the beaten-track discoveries. Indulge in local specialities such as wild game, salmon and langoustines in the beautiful restaurant with an open fire place and great views of the incredible nature surrounding the hotel. In the evening enjoy the geothermal pool and hot tubs - only a few steps from your room. Hiking & Relaxing - is there any better way to spend your holidays? 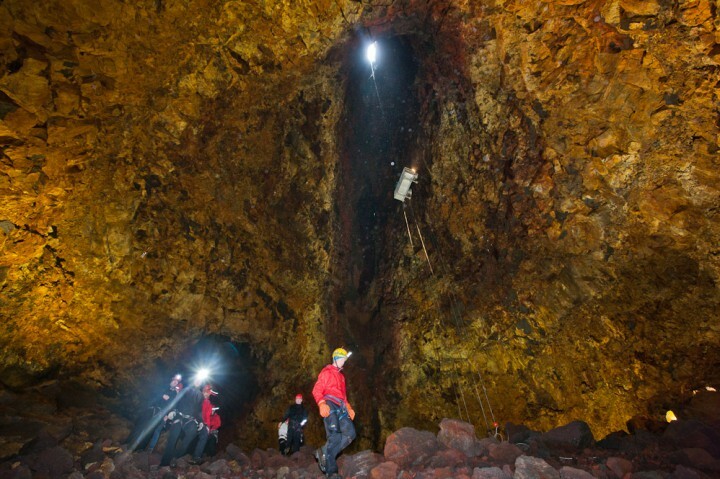 On this tour we enjoy lovely walks around the natural wonders of the Saga Geopark in West Iceland with the amazing lava waterfalls, wild canyons and fascinating lava caves. Enjoy remote trails through the arctic birch forest and intriguing lava formations and discover the magic of the blue ice on the optional excursion right from the hotel. Accommodation for three nights at the charming hotel Húsafell which is located in an area rich in history and extraordinary natural wonders. 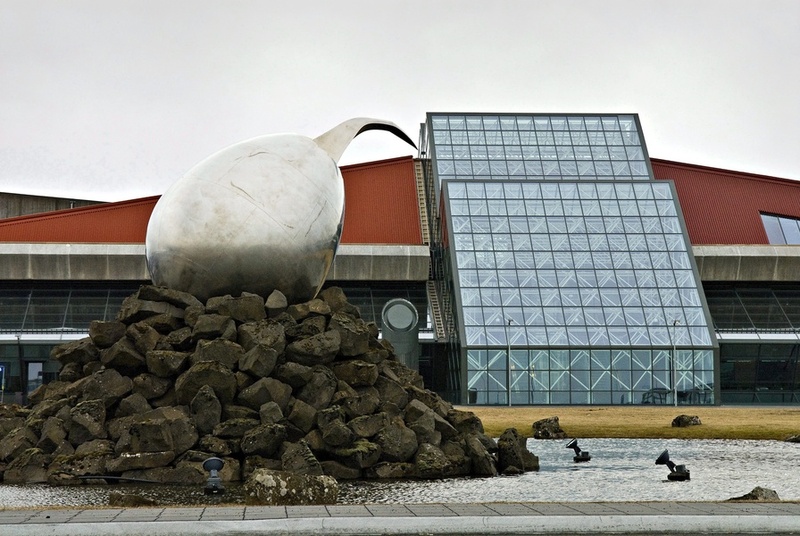 It offers 48 luxury rooms, a geothermal pool, two restaurants and a bar in beautiful Icelandic design. Please note: Dinner is not included, the hotel has two restaurants and a bar. Only the hiking tour is guided. The guide is not staying at the hotel. Transfer to and from Reykjavik including sightseeing at Hraunfossar Waterfalls. Pick-up/drop off at accommodation in Reykjavík. Pick up at 9 am at your accommodation in Reykjavík. Please be dressed already for hiking at pick up time. 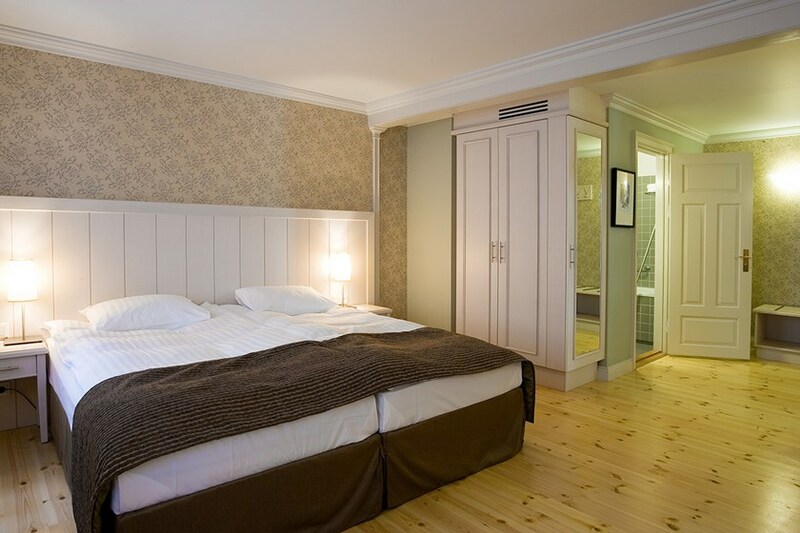 Private Exploring Iceland transfer to Hotel Húsafell, your luxury accommodation for the next three nights. Here we meet our private hiking guide and begin with a short and easy walk where we follow a historic hiking trail where interesting old relics of farming at Húsafell can be seen. After lunch we continue our hike to the majestic Selgil and Teitsgil canyons. High up in the remote Selgil canyon we can enjoy the sight of many beautiful waterfalls. Back at the hotel a cozy restaurant with open fireplace awaits you with Icelandic delicacies like game and salmon. If you want to, you can meet up with fellow travelers in the hotel´s geothermal pool and hot tubs, a great place to exchange stories of wonderful sights and outdoor adventures! Walking distance: 9 km / ca 3 hours. We meet our guide in the morning after a hearty breakfast. For a long time Deildargil Canyon and Hringsgil Canyon have been two of the area’s best-kept secrets. Here you will find stunning hiking paths in magnificent surroundings. We set off from the Reyðarfellsskógur campground and walk up the wood-grown banks of the brook. In certain places the brook flows along a deep ravine with steep cliffs on each side. Upon reaching the edge of the woods we turn west, towards Deildargil Canyon. High up in the ravine there is an impressive waterfall named Langifoss. From there we follow the river until we meet our private driver again. We enjoy our picnic lunch before we drive to Víðgemlir Lava Cave and take a fantastic tour of this stunning Lava Cave. Back at the hotel, restaurant, bar and hot tubs will take care of your aprés-hiking needs! Free morning to take part in our exciting optional tour into the glacier or some leisure time! The optional glacier adventure is truly a unique experience. You will get the opportunity of a life time to enjoy one of the world’s greatest natural wonders: Iceland’s second largest glacier – from the inside! After lunch at the hotel we meet our guide and will set out for a beautiful arctic birch forest hike. At Kaldárbotnar serene water springs can be found at the edge of the forest. While walking towards Hlíðarendi, we follow a trail called Þrengsli onto a hillside where, in the past, travelers trekking between different regions of Iceland would traditionally stop to rest. And a spectacular resting place it is! We meet up with our guide once again right after breakfast. This morning we start with a two hours woodland hike along Oddalindir and the river Hvítá. We also enjoy a pleasant walk up to a scenic view point with a trail register. Along the way we encounter many sculptures set among nature by the famous Icelandic artist Páll Guðmundsson from Húsafell. After a delicious picnic lunch we say good-bye to our guide and head back towards Reykjavík by private Exploring Iceland transfer.On our way to stop at one of the most beautiful waterfalls in Iceland, called Hraunsfossar (Lava Falls). We arrive back in Reykjavik around 17:00. 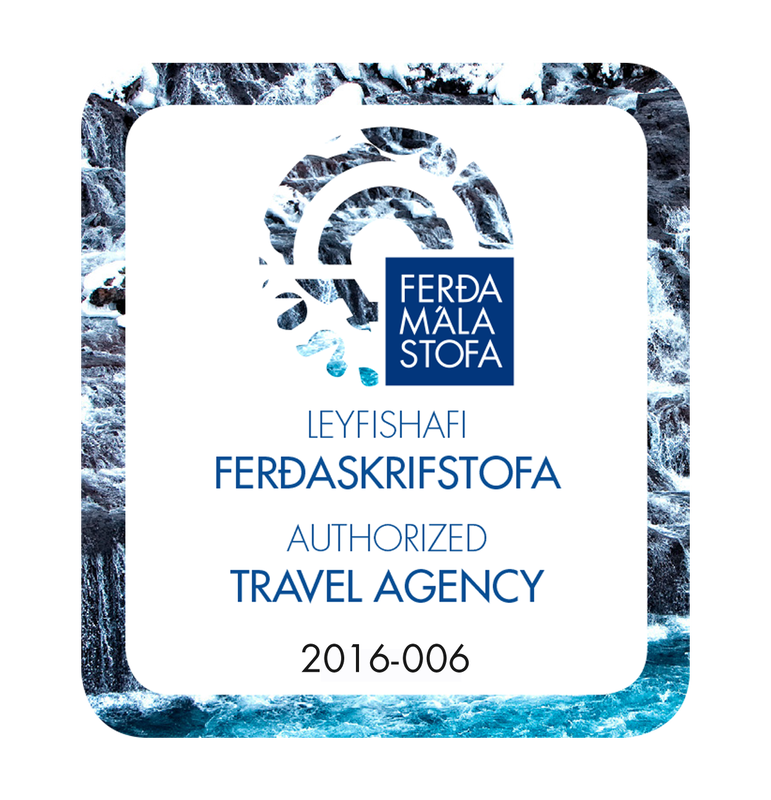 Drop off at your hotel in Reykjavík or the BSÍ Busterminal to catch the flybus to Keflavík Airport.